According to the sources, The secondary deal is in the range of $60 million. Dream 11 first discussion with Steadview Capital was first reported by VCCircle in February. There are a lot of investors who are interested in Dream 11 because of its huge customer base and after the Punjab & Haryana High Court judgment last year there is a significant rise in the Interested investors. 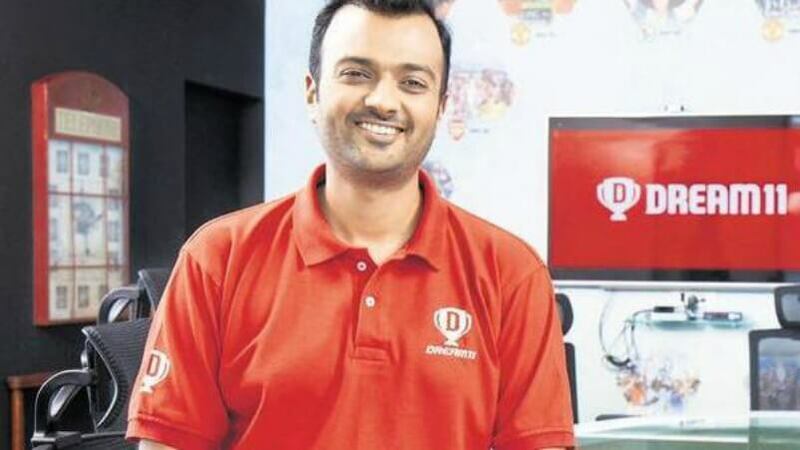 April last year Dream11 faced a legal conflict and In Dream11 judgment Justice Amit Rawal had said playing fantasy games required considerable skill, judgment, and discretion, and that, Dream 11 held such games couldn’t be considered gambling. Kalaari Capital, Think Investments and Multiples Alternate Asset management, these three investors have sold a portion of their stakes, with the valuation of the company estimated at $1 – $1.5 billion. Last year, it raised $100 million from China-based Tencent at a valuation of $700 million. Bhavit Seth and Harsh Jain the chief executive officer and co-founder of Dream 11 sights further growth with the investment. It’s associated with Pro Kabaddi League, Indian Super League, International Council of Cricket, National Basketball Association, Caribbean Premier League, Big Bash League, and International Hockey Federation. Not just that this fantasy gaming firm is now endorsed by Indian cricketer Mahendra Singh Dhoni. He has signed a four-year partnership with the BCCI which has started with IPL 2019. By playing the biggest card, Dream 11 is now grabbing the attention of millions in fantasy gaming domain with an exceptional market opportunity of billion Dollars. “We are excited to welcome Steadview Capital onboard, providing great returns to our shareholders, whether investors or Dreamsters, is very important to us and further reinforces their belief in Dream11. We will keep working hard and are targeting to end the year with 100 million users. Steadview Capital marks its presence again with Dream 11 and makes the third deal in the past 4 months following $50 Million investment in the UrbanClap in December last year and $50 Million in Ola in January this year. With the rise of smartphone users, there is a significant rise in people using fantasy gaming apps in India. The number of internet users in the country was 560 million as of January 2019, which clearly makes India a huge market for fantasy gaming apps. With the success of Dream 11, a lot of establishments and entrepreneurs are taking interest in this industry. Now as Dream11 enters into unicorn club with investment from Steadview Capital makes fantasy gaming more lucrative and attractive for players.